A week after the most violent and widespread riots in London and in the UK for over 25 years, I urged myself to go have a first hand look at the place where it all kicked off, that is Tottenham High Road, in north London. Last evening, I tossed and turned in bed, just willing myself to go check out the situation on the ground and meet some of the local traders and shopkeepers that had been affected. A little voice kept urging me to ‘take camera’ and ‘go shoot’ Tottenham one week after. Monday morning, I sms’d Zarina, a video journo who runs Sojournposse.com and suggested the idea to her. We met up and tubed it up to Seven Sisters where we walked the half mile north towards Tottenham High Road. It is after all, over 1 week since the fires were lit and a sense of normalcy has returned to the streets. Without careful observation, one would not have guessed anything significant had happened. As we approached the flashpoint (the Police Station), we could see some shopfronts boarded up, some fire damaged was evident, black charred facades and melted signage. Many glass frontages had some damage but were left as they were. Almost all bus shelters had their glass sides broken, including telephone booths. 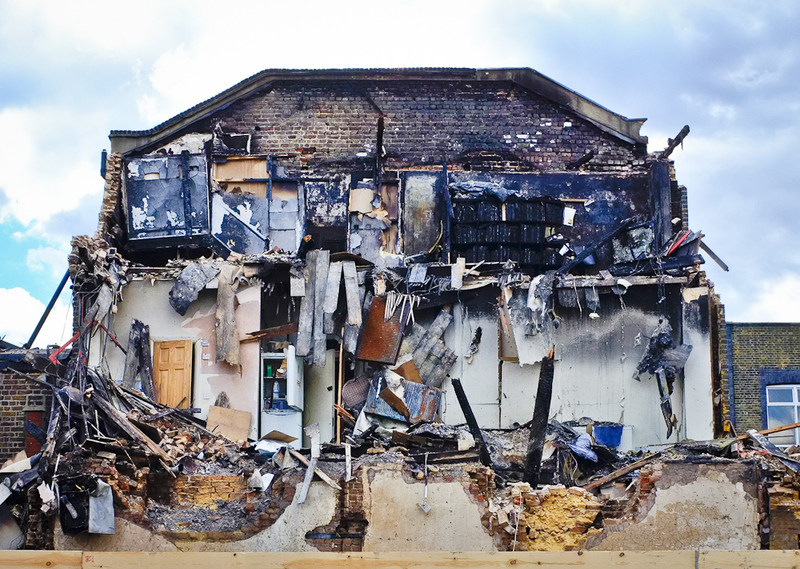 Most local authority buildings like the youth centre, job centre and housing offices were completed burnt or seriously damaged and were closed. The road section where the double decker bus was set alight melted away and had just been resurfaced. The pub adjacent to the burning bus had all their windows panes melted due to the heat. Workmen were busy installing new glazing. I, like so many, have read the hundreds of column inches of news that have been written about the riots in the press and online, listened to hours of news and radio coverage, debates, and discussed at length with friends about the causes, reasons, justifications of these horrific uprising of humans against humans. I had to experience it first hand. So far at least 5 people have died, hundreds have been made homeless, hundreds of stores looted, millions of pounds lost, families wrecked, over 2,500 rioters arrested, many charged and imprisoned, many buildings, cars and stores fire damaged and destroyed. The riots spread from Tottenham across many parts if London, including Enfield, Croydon, Clapham, Wood Green, Notting Hill Gate, Kings Road, North End Road, Peckham, Ealing and many other spots, plus in other UK cities like Manchester, Birmingham, and Nottingham as well over several days. Of course, the causes will be debated ad naseum by politicians, the police, sociologists, celebrities, journalists, etc. None will the be the wiser. It was as if an airborne virus has infected, spread and triggered off some people, and a temporary antidote had been found. There is still tension in the air that one could feel. It was surreal, as if walking in a fog. sadly – its a great photo – sad due to the circumstance! But great shot! Really captures the total devastation.